2 channel GPS receiver to expand your logging data with the GPS position of your vehicle. While recording data, LOGview offers the possibility to illustrate it graphically and to display information. LINprobe X receives and transmits LIN frames. For transmission LINprobe X serves as Master or Slave. LINprobe G receives and transmits LIN frames like LINprobe X. Additionally it can be used as standalone CAN/LIN gateway. Log MOST150 data time-synchronously with the loggers of the GL3000/GL4000/GL5000 families and the GLA150 accessory. 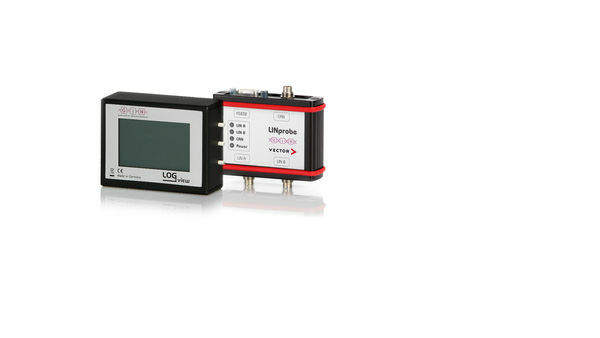 The GLA150 is based on the proven Vector MOST150 interface VN2640 for CANoe and CANalyzer. The CCP/XCP license permits to readout measurement data in DAQ and polling mode directly from the control units and to record them. When using GL2000/GL3000/GL4000/GL5000 logger families VoCAN lets you comment on events in audio format during logging. The compact digital camera for the GL3000/GL4000 /GL5000 families lets you supplement the logged data with high-quality color images. Vector offers specialized logging solutions for in-vehicle use on test drives or for test benches.